Are you here to find out Captain Marvel comic facts that you didn’t find on other websites? Now it’s a perfect time to know more of Captain Marvel when the movie is still running into theatres. Known by Carol Danvers, Captain Marvel is going to enter Marvel Cinematic Universe soon as Nick Fury already sent her disaster signal right after Thanos’ finger snap. According to Marvel’s President, Captain Marvel will be strongest MCU character among other superheroes, and it’s a fact. 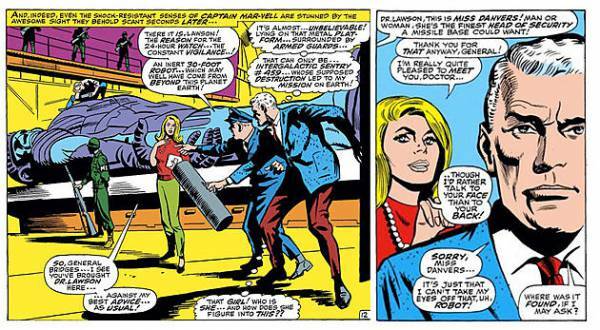 On the pages of Marvel comics, We can see Captain Marvel’s first appearance in the Marvel Super-Heroes #13 as a supporting character where she introduced as NASA’s head of security. But who had knows such a grounded character could lead Earth’s mightiest the Avengers in future. Hero’s Facts made this fantastic pieces of facts. So without wasting any due time, let’s dig it up. 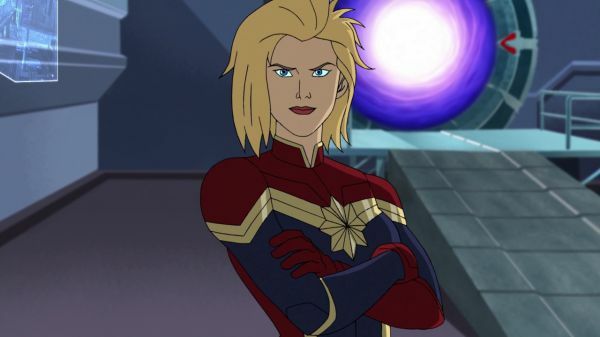 Here are 14 Captain Marvel Facts That Every Fan Must Aware. 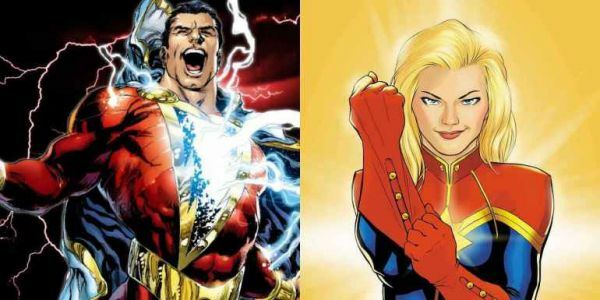 You probably heard or read about DC superhero Shazam calling himself Captain Marvel. In the past, concerning the name of Captain Marvel, there had been lots of publishing controversies. 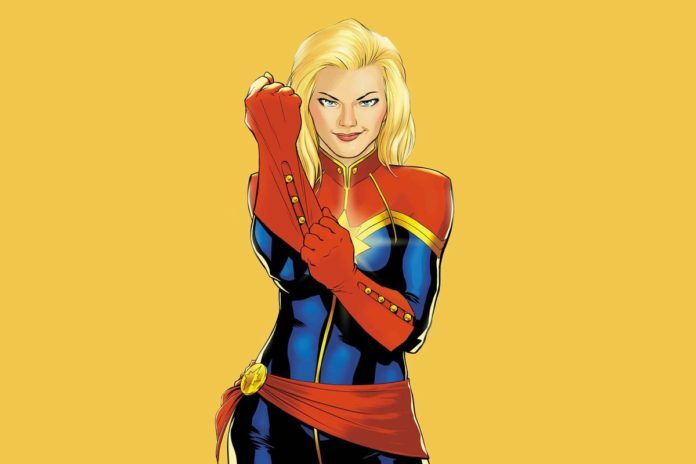 During Marvel’s Golden age, one character created with a named Captain Marvel published by Fawcett Comics. Due to the similarity of this character with Superman, Detective Comics sued them. However, years later, this character was finally bought by DC and renamed as Shazam who received powers just by calling name. At this point, no one had Captain Marvel’s trademark name beside Fawcett Comics. When Fawcett died in 1953, Marvel comics brought the trademark — thus publishing standalone Captain Marvel comics which led to creating many ongoing series including latest MCU film. Like Kalpana Chawla who once saw a vision to become an astronaut, teen Carol Danvers wants to become the astronaut to travel others planets. But her father, Joseph Danvers didn’t accept her request because according to him that was only men’s fair job. As she grew up eventually, Carol turned down on her father and joined the Air Force to become a pilot. Even though she still never accepted by her father. Hence Carol worked so hard that she ranked top of her Air Force class. Over a period, she did many risky missions, and most of the time she ends up being injured. But her efforts lead her to recruited into Air Force Intelligence. There Carol teams up with several famous Marvel characters such as Nick Fury, Wolverine, the Thing, etc. However, as an adult superheroine, Captain Marvel can fly anywhere she wants at a speed of light, and thus her dream gets fulfilled. 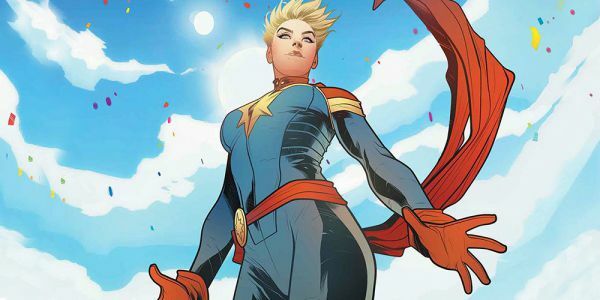 Before Carol Danvers took the mantle of Captain Marvel, there had been six other Marvel characters who carried that name. But the most important figure is ‘Captain Mar-Vell’ who was the owner of this legacy. Mar-Vell was an outstanding alien military officer that Carol actual encountered and aided. Because of him, she received her powers as Ms. Powers as already written in the article. Due to exposure of toxic nerve gas from the battle he had with Nitro, Mar-Vell would die of cancer. 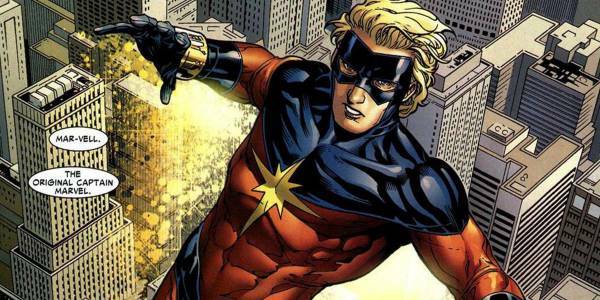 Other five played an essential role as Captain Marvel but didn’t show as an influence as that of Mar-Vell. Before officially becoming Captain Marvel, Carol was calling herself Ms. Marvel. Back in 1977, writer Gerry Conaway chose this name to Carol to start the era of a socially progressive comic. Just like the fact the MCU Captain Marvel movie made with taking a picture of feminist movements, Ms. Marvel created to represent that she was an independent woman. When Carol Danvers started working under Air Force Intelligence, she teams up with Colonel Michael Rossi to accomplished different kinds of missions. Michael was a spy as well as a military field officer who also trained Carol in the Air Force. As time passes by, two fellows fell in loves with each other and Rossi becomes Captain Marvel’s first love interest. Every hero doesn’t born with superpowers or great abilities. It’s their destiny to received such a high power to protect people as well as their loved ones. In Carol’s case, she didn’t have superpowers in the first place. She was an officer in the US air force and later becomes security chief of a restricted military base. 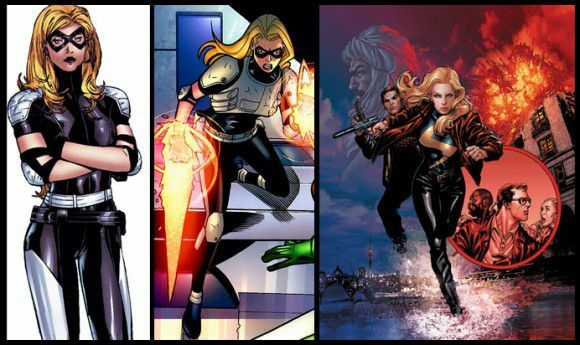 In the earlier days, Carol Danvers did so many incredible things which separate her from doing superhuman duties. But how Captain Marvel gets her powers? 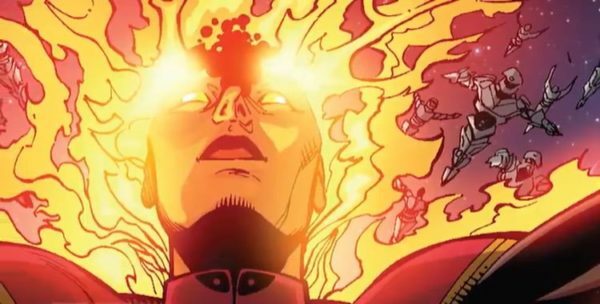 During an intense battle between Kree villain Yon-Rogg and Mar-Vell, Carol got in midway and knocked into exploded Kree made Psyche-Magnitron that can turn any thoughts into reality. This event alters her DNA into half Kree and half human that gave birth to Kree superheroine Ms. Marvel. Due to Carol’s inability to handle newfound superpowers, her NASA career gets destroyed. However, that doesn’t stop Carol from continuing her superhero journey as Ms. Marvel as well as her professional career as a freelance writer. Being working as Ms. Marvel, finally, Carol received a call to join the Avengers. Over a period, heroin becomes a valuable resource for the Avengers. Suddenly, Carol found out about her unexpected pregnancy that caused due to a son of time-lord Immortus, Marcus. Both Marcus and Immortus belongs to Limbo which known as hellish dimensions solely inhabited by demons. After his father’s death, Marcus wanted to leave Limbo. Hence he chose Carol for incarnation on the Earth. Therefore, he abducted Carol and brought her to Limbo. Using subliminal equipment, Marcus made Carol fall in love with him and fertilize her with his seed so that he could reborn after he teleported her back on the Earth to the time where she gets kidnapped. Having no memory of him, Carol gave birth to Baby Marcus. But his unexpected presence on Earth’s timeline causes him to age rapidly. Again falls under the influence of Marcus, Carol went with him to Limbo to cure his aging defect. Meanwhile, after reaching adulthood, Marcus die an old age and Carol left behind all alone in the Limbo. Once Carol’s return to Earth after mastering Marcus’s technolgy, she wanted to have a new life where she could relax as a normal human life. But things didn’t go well as it seems. After hearing news of Carol’s return, her old foe Raven aka Mystique planned to kill her with her adopted daughter Rogue. Rogue stole Carol’s powers and erased memories as she could absorb others’ powers of whomever she touched. Thanks to Spider-Woman, who save heavily injured Carol and brought her to Professor X. Charles Xavier recovered most of her lost memories but failed to unable to return those emotional bonds to those memories. After abandoning the Avengers, she decided to stay with X-Men, and her life becomes easy as she finds her old friend Logan there. 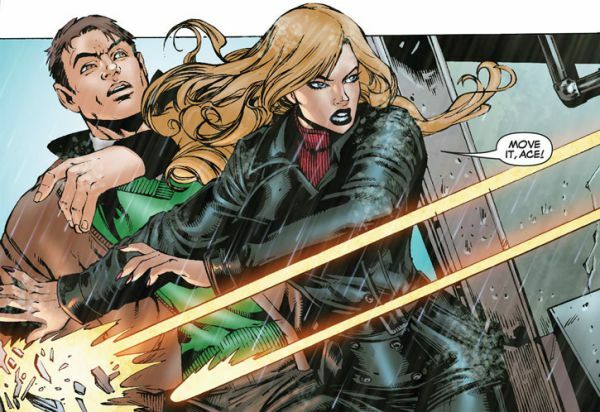 Heroine without superpowers still serves effective using her Air Force skills and fighting experience and went on various missions with X-Men. 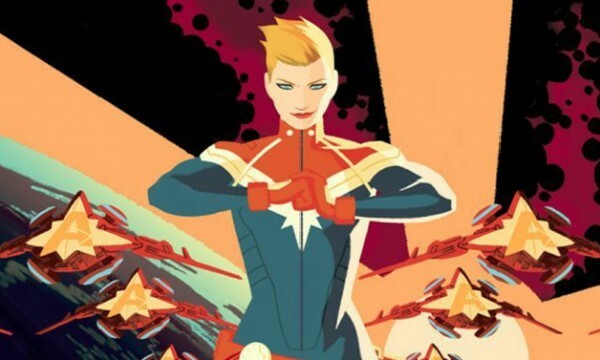 Because of leading controversial subject due to Carol Danvers’s eerie pregnancy and its storyline, her standalone comic issue was gets canceled. Hence Marvel’s writer sent her to Limbo for the time being. But in Modern Age era, heroine made a dramatic return when escaping from hell. While working along with the X-Men, once during one mission, Carol gets captured by alien Brood. They experiment on her with an Evolutionary Ray that causes her to unlock her full hidden Kree power. Carol becomes so powerful that her new powers and abilities outclassed the godlike capabilities. As Binary, Carol Danvers left the Earth and joined the Starjammers, a club of Space Pirates. With the help of new granted abilities, she defeated the many galaxy’s most powerful enemies. Once Carol came across Quasar, a retired Super-Agent of S.H.I.E.L.D. and both of them saved the Sun from Crisis. But doing so, Carol lost her Binary powers, and Quasar brought her back to the Avengers mansion. Although, she unable to link herself with the Binary, she was able to tap into her lost Ms. Marvel’s superpowers. 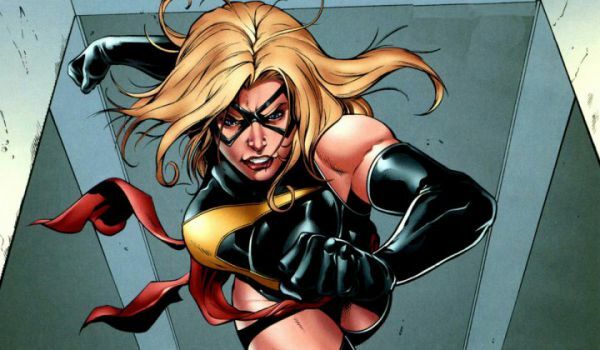 Thanks to her former Binary powers, as a Ms. Marvel, Carol possessed energy projection as well as manipulation ability. When she joined the Avengers for the second time, she changed her codename to Warbird. When Scarlet Witch went crazy, her reality manipulations powers cause to create an alternate dimension named as House of M.
After Earth’s mightiest heroes including Carol destroyed the illusion of House of M, she remembered few things from it. But it positively impacts her personality as she was the most popular superheroine in that reality. Finally realizing her real potential as Ms. Marvel, later Carol worked so hard that she got recognization from all around the world. During Civil War, Ms. Marvel accepted Iron Man’s invitation for joining the Pro-Registration Act. And there Tony requested her to lead a new government-sanctioned squad of Avengers calling as the Mighty Avengers. When the cosmic entity Phoenix Force headed towards Earth, Carol as Ms. Marvel joined Secret Avengers and sent into space to take out the threat from reaching the planet. During the war, to get additional help, Kree Empire resurrected Captain Mar-vell to stop the Phoenix Force. Eventually, he realized that danger is coming to use the remaining part of the energy that was used to revive him. However, he sacrificed himself to stop Phoenix Force from reaching Earth. That was the time when Carol realized his importance for her. 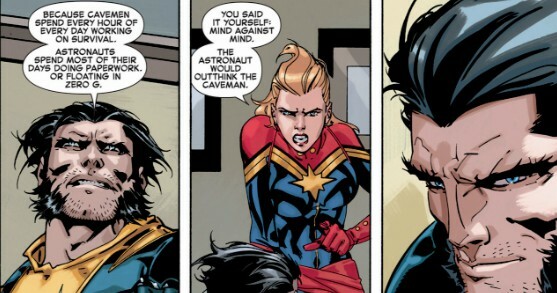 Hence, after the war with X-Men, as per Steve Rogers’s advice, Carol Danvers chose to take the mantle of Captain Marvel. Hero’s Facts already made one article related Captain Marvel’s superpowers and abilities. In the MCU, she will be the strongest character we have ever had. Despite having superhuman strength, Carol possesses flight ability, precognitive sixth sense, photonic blast, healing powers, cosmic awareness, can absorb many types of energies, gravity control, and last but not the least she was Binary at one time. In the Marvel comics, sometimes we can see Carol’s body in a muscular form. Thanks to her military background, she had combined advantage along with her granted Kree powers. Altogether with all of these incredible abilities, Carol Danvers as Captain Marvel could be called as DC’s Wonder Woman. Over a period of heroic career, once Carol Danvers lost access to her cosmic powers. However, apart from her super abilities, she was a very skilled person and most of them she developed on her own. Thanks to her advanced military training as well as mutation of Kree DNA, it helps her to build a natural hand-to-hand ace fighting skill. However, Captain Marvel had an advantage when she uses her U.S. Air Force along with her cosmic superpowers. Because of Kree genetic structure from Captain Mar-Vell, Carol has excellent knowledge of Kree technology. Being seen as an extremely attractive and fiercely woman, Carol Danvers aka Captain Marvel was one of the most powerful formidable adversaries yet that we are going to see next year.